Change leadership: Leader can recast the scenario. Change leadership is the ability to influence and enthuse others through personal advocacy, vision and drive, and to access resources to build a solid platform for change (Higgs and Rowland, 2000). Leadership is often viewed as key to successful change (American Management Association, 1994). Most of the successful leaders have used a two-pronged approach, the first one is to assess the communication surrounding the change, and the second one is to use these evaluations to find out where to get-up-and-go. Your task as a game changer is to visualize and help bring about change in the organization, a transformation that has positive long – term results for single parts of the organization and for the organization as a whole or the society it operates within. Your goal as a leader who is leading the change is not to prevent all team or organizational failures, but making sure there are no fatal failures or untouchable bloopers during the journey of change. Being a change leader, it is advocated that a leader should be more cooperative while responding to team members’ concerns by giving a written or verbal response that reveals more about the reason or cause of a decision. Instead of just providing an overarching vision, the leaders who converse a persuasive underlying principle increase team members’ perceptions of reasonable change. The rationale may be in the form of an excuse, which includes an explanation of what you as a leader admit might be a hostile or unsuitable action, or validation, where accountability for the performance is accepted, but the behavior is deemed suitable or essential. Usually, the leaders who pay attention on changing the environment entirely must be inclined to be more supportive, tolerant, and sincere and use good listening skills but must remember that any of their two followers do not experience a particular change in the same way. A successful leader, who is worried about creating fair changes, will make additions to the traditional methods, including helping members conduct brainstorming sessions, decision making meetings, and closure sessions. At the same time your team members also need you as a change leader to redress any disrespectful or improper remarks made at the time of the change process. To increase fairness perception, you should venture to make your contact with your team members more delicate, and use the media those which are more interactive, for instance the telephone or video conferencing, rather than using emails to communicate. Your team members must be aware that you as their leader believe in various solutions — the idea that there is often number of ways to reach the same result. Sometimes team members expecting a leader to champion change, and sometimes they want a proficient manager to take care of the particulars, making connections to get projects accomplished, and members contented. You need to be seen as someone who is open to multiples ways, as long as team achieves the same results, with the indistinguishable levels of resource usage. The stress of being entirely selfless and yet significantly responsible for others can result in outcomes that are not favorable for anyone. The leader who is not taking care of self may not be accessible to help the followers or let the organization enjoy a fair and fruitful change. As a change leader, you will often need to go into areas or issues that may have toxic environments, filled with negative emotions and behavior motivated by fear, self – loathing, or worse. Therefore as a change leader, you must take care of yourself to prevent burnout, by building and nurturing a social support system for yourself. Another good step is to listen to own spoken and unspoken messages about the change from time to time. It is appropriate to spell out the justification of your actions before someone else asks the same of you. 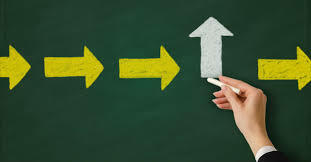 Last but not the least, being a change leader, you need to keep up behaviors that will allow you to embrace change rather than simply cope with it. ← Use Of Video Conferencing; Interference Of Technology In Justice Administration. Rama University © 2017 All Rights Reserved.